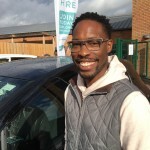 We are delighted to introduce Mofoluwaso, a valued member of E-Car Club. The Elmsbrook Development opened its doors three years ago and E-Car Club are proud to have been there since its inception. 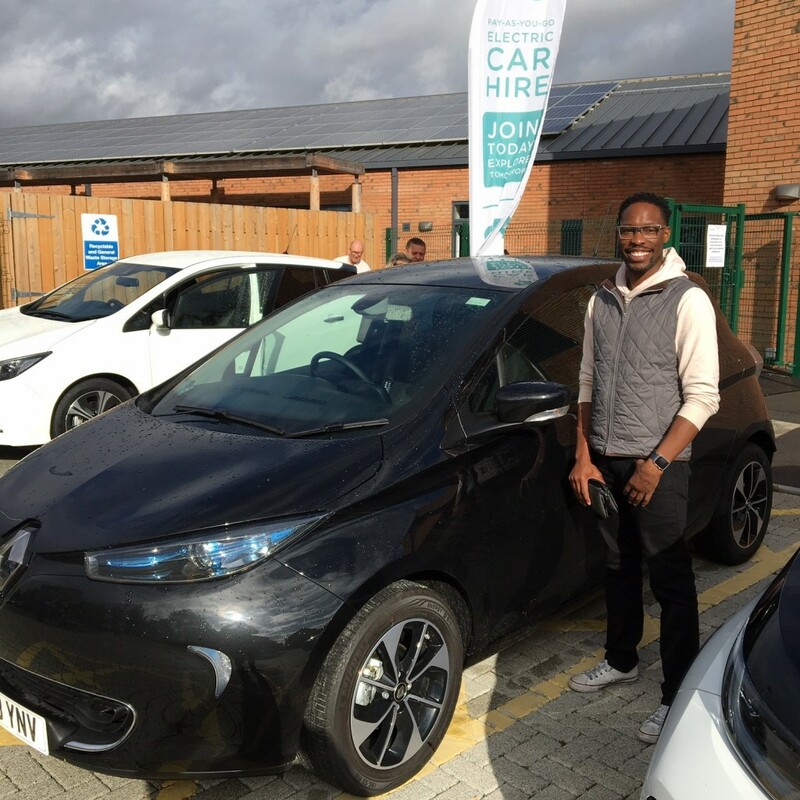 There are two fully electric vehicles on-site, the Renault ZOE and the Nissan LEAF, to be used exclusively by resident members such as Mofoluwaso. After moving into the Elmsbook development, Mofoluwaso became a regular EV user. 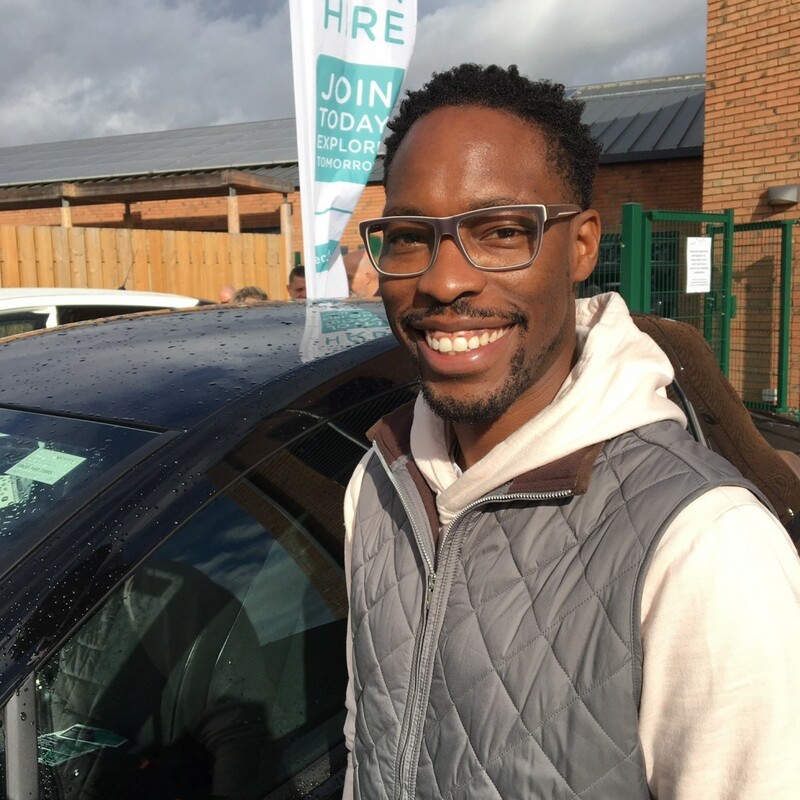 ‘They’re extremely convenient,’ he said, ‘and after a moment of getting used to, simple to use.’ Unlike traditional hire cars, there’s no minimum charge level that our vehicles need to be returned at. Plus, all power is free from your home hub! While Mofoluwaso is now the proud owner of a Hybrid car, he says that he’ll definitely use E-Car again in the future. His partner is in the process of learning to drive and after holding her license for a year, Mofoluwaso is certain that she too will become another prised E-Car member! Elmsbrook residents can get a one-off lifetime membership for only £25 (normally £50) PLUS 6 hours FREE driving credit up to the beginning on November?